Thanksgiving is a special time for sharing great food, great conversation, and football with family and close friends in a nationwide celebration of shared bounty and prosperity. If you're spending Thanksgiving in Sacramento and are looking for a fun day minus all the usual stress, these tips are for you. Feeling charitable or don't want to cook? Why even set the table? 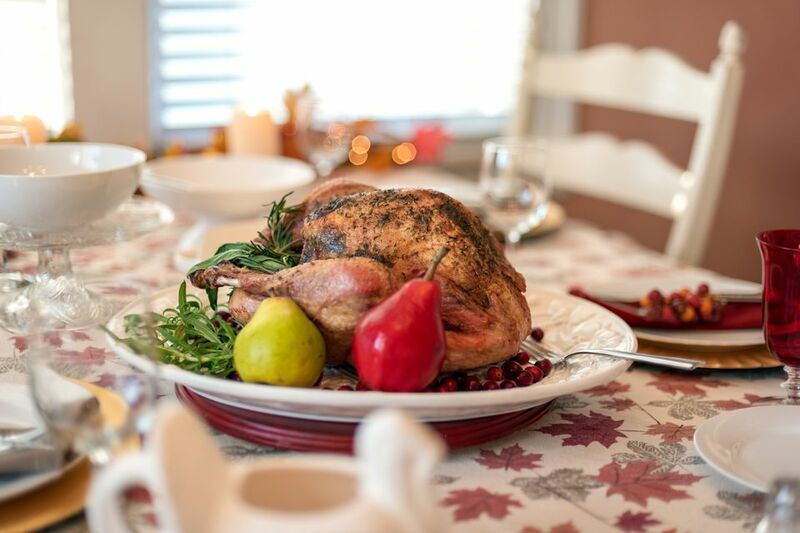 Find out which restaurants are serving Thanksgiving dinner, discover where to order prepared meals, or figure out ways to spend your time before or after the feast, this guide has you covered. Be sure to make restaurant reservations in advance or order your prepared meal in time, way before Thanksgiving week. Then, sit back, relax, and take the opportunity to truly enjoy the turkey, dressing, potatoes, corn, veggies, and desserts that only come once a year. Making Thanksgiving dinner, usually the biggest feast of the year, can be very time-consuming and stressful. From planning the menu to defrosting the turkey, making the dessert and even shucking the oysters, it can take family cooks days to prepare this grand meal. If you would rather relax on this holiday, why not eat out? No one says you have to hold to tradition every year. Folks with busy schedules can get help to put a Thanksgiving dinner on the table by ordering in advance complete, or nearly complete, meals at area grocery stores. These meals in a box can include a main course, several side dishes, bread, and dessert. All you have to do is call in your order, pick it up, and put it on a pretty plate. Your guests won't know you didn't cook it yourself unless you tell them. Raley's, Nugget Markets, and Whole Foods offer these packaged meals for a reasonable price. Best of all, they truly are delicious. People usually think about volunteering during the holidays. Use this guide to find out what organizations need your help. While non-profits tend to receive the most help over the holiday season, they still need more. So if you enjoy serving and making Thanksgiving festive for those less fortunate, this might make your day meaningful. Jump start your metabolism and help out needy families with annual Thanksgiving day run/walk events in the area. The Run to Feed the Hungry is an annual event that's very special to many Sacramento residents. This can easily become a tradition in your family when you experience together how great it is to give back before carving that turkey. If Thanksgiving is special to you but you're not sure you have the energy to do it all this year, consider recruiting some other family members. Perhaps a new spouse has married into the family or the children are now old enough to do some cooking. Challenge the men to cook solo or have a potluck. Whatever you decide, Thanksgiving should be a time for everyone to enjoy, even the organizer of the meal.